Turkey blocked access to Twitter, YouTube and Facebook over the publication of photos of a prosecutor taken hostage and killed by militants in Istanbul last week. The websites went back online shortly after complying with the demands of authorities. Turkey's presidential spokesman Ibrahim Kalin said a prosecutor sought the ban on social media on Monday after the photos’ release. "This has to do with the publishing of the prosecutor's picture. What happened in the aftermath (of the prosecutor's killing) is as grim as the incident itself," he said, Reuters reports. "The demand from the prosecutor's office is that this image not be used anywhere in electronic platforms,"Kalintold a news conference in Ankara. The ban on Facebook was later lifted after it rapidly complied with the court ruling, Tayfun Acarer, head of the Information and Communications Technologies Authority (BTK), told Hürriyet newsapaper. 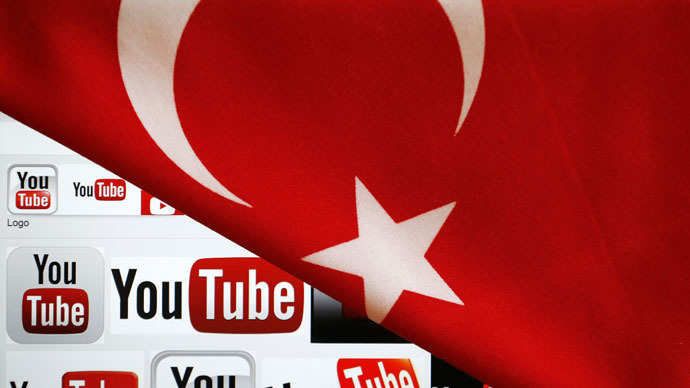 YouTube in Turkey posted a text of a court ruling, which said an "administration measure" had been implemented by the country's telecommunications authority (TIB). The ban on YouTube has also been revoked shortly as the website removed the content that was deemed illegal by the court, Internet Service Providers Union (ESB) secretary general, Bulent Kent, said. Twitter has also gone back online after several hours as the micro-blogging website “agreed to shut down accounts and remove images relating to last week's hostage-taking. The website will reopen to access very shortly," a senior official told Reuters. A total of 166 websites that published the slain prosecutor’s pictures were to be blocked, according to a recent court ruling seen by the Hurriyet Daily News. "A request has been made to both Twitter and YouTube for the removal of the images and posts, but they have not accepted it and no response has been given. That's why this decision has been taken through a court in Istanbul." Prominent Turkish prosecutor Mehmet Selim Kiraz was taken hostage by the far-left Revolutionary People's Liberation Party-Front (DHKP/C) last Tuesday. He suffered five gunshot wounds and died in hospital, after a gunfight during the storming of an Istanbul court. His captors were also killed during the operation. The official was leading the case of Berkin Elvan, a 15-year-old protester, who died from injuries sustained during the anti-government demonstrations of 2013. Elvan was in a coma for nine months and died in March last year. He subsequently became a symbolic figure for the street protest movement. This is not the first time Turkish authorities have blocked social media platforms. In March 2014, the country blocked Twitter hours after the country’s Prime Minister Recep Tayyip Erdogan threatened to close it down ahead of a key election. The move came after audio recordings alleging corruption among his associates were posted on the site. Later the same month, Ankara pulled the plug on YouTube after a controversial leak of audiotapes that appeared to show ministers talking about provoking military intervention in Syria. The leaked audio recording, which reportedly led to the ban, appears to show top government officials discussing a potential attack on the tomb of Suleyman Shah, the grandfather of the founder of the Ottoman Empire.